Today's challenges make us a better company tomorrow. "Helping farmers produce and market profitably"
Profitability - We make decisions through understanding and taking action for long term success. Empowerment with Accountability - We take ownership of our decisions through communication, competence, and confidence. Continuous Improvement - We pursue increased efficiency and effectiveness in our daily activities. Ethical / Honest - We build trust and relationships though professionalism and reliability. Confront Brutal Facts - We identify and address challenges with proactive solutions. Growth Oriented - We actively seek opportunities that support our purpose. To view information about each location individually, just click on the links in the text below. 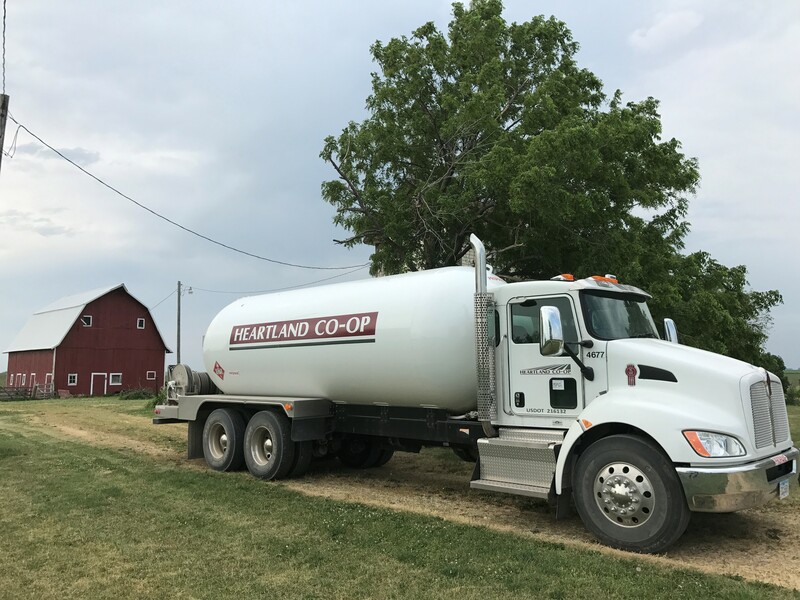 The "original" Heartland Co-op was formed in 1987 with a merger of three cooperatives with facilities in Panora, Dallas Center, Minburn and Granger. Panora Farmers Cooperative was formed in 1947. Farmers Cooperative Company of Dallas Center was formed in 1919. Minburn had been a private elevator until it became Minburn Cooperative Elevator in 1945. Minburn purchased a private agronomy plant located at Granger in 1986. In a 1991 merger, Booneville Cooperative Elevator Company (a cooperative formed in 1949) was added through a merger. In the following year, 1992, Laverty Elevators (a private elevator) in Indianola, was purchased. The Heartland Co-op that exists today was formed in 1993 with a merger of the "original" Heartland Co-op, Alleman Cooperative Company, Mitchellville Cooperative, and the facilities previously owned by Avon Grain Company at Carlisle and at East 18th Street in Des Moines. Farmers Cooperative Elevator of Alleman became a cooperative in 1934. Alleman purchased a cooperative at Cambridge in 1947. They continued to grow by merging in 1964 with a cooperative in Napier. In 1977, Alleman built a grain facility in Slater. Both Madrid and Luther locations were purchased in 1981 from another cooperative. Mitchellville Cooperative was formed in 1951 which evolved from a business selling feed and live baby chickens. Heartland Co-op continued to grow when in 1997, agronomy facilities at Elkhart, Nevada and Redfield were purchased from Central Iowa Farm Service. Another acquisition in 1997 included Baer Ag, Inc., a private company with a full service location in Waukee and an agronomy outlet located in Dexter. In August of 2000, Heartland Co-op purchased the Rippey Farmers Cooperative and the Farmers Cooperative Elevator Company of Waukee. The Waukee Coop came with locations in Redfield, which they purchased in 1966, and in Winterset, purchased in 1983. In May of 2001, Heartland purchased the former Enterprise Elevator at Elkhart. This grain location, along with the agronomy location purchased in 1997, gave Heartland another full service location in Central Iowa. In July, 2001, the Gateway Cooperative was merged in with Heartland Co-op. Gateway operated facilities out of Conroy, Malcom and Montezuma. The Conroy location was initially named Conroy Farmers Co-op, but the name was changed to Gateway Cooperative in 1996 when they merged with the Malcom Farmers Coop Elevator. Malcom had purchased the private elevator in Montezuma in 1991. In August, 2002, the membership of the Farmers Cooperative Exchange, with locations in Collins, Colo, Columbia, Knoxville, Melbourne, Mingo and Prairie City, voted to join the ranks of Heartland Co-op. The Prairie City location of FCE was formed as a coop in 1956 with the purchase of a privately held stock company. In June, 1990, FCE exercised its option (originating from a three year lease signed in 1987) to purchase Mingo Feed and Grain. In September of 1992, Farmers Grain Cooperative of Colo, Collins, Melbourne and Baxter merged with FCE. Prior to this merge, Farmers Grain had purchased the Collins agronomy facility from a private in March of 1987. They also purchased Melbourne Grain in July of 1989 and leased an NH3 plant in Baxter in November, 1989. On March 1, 1994, FCE acquired the Knoxville location and purchased A&S Ag Service at Columbia in January of 1996. In July of 2006 Central Iowa Cooperative (CIC), with locations in Jewell, Randall and Stanhope, voted to be part of the strong organization of Heartland Co-op. CIC began operations in Jewell in 1908 as the Jewell Farmers Elevator Company and reorganized in 1945 with a new name of Jewell Cooperative Elevator Co. On April 1, 1975, a merger with the Farmers Cooperative Elevator of Stanhope was incorporated under the new name of Central Iowa Cooperative (CIC). In 1976 CIC purchased the Cargill Elevator and business in Stanhope and in 1996 the Farmers Coop Grain Company of Randall was merged into CIC. In 2002 CIC purchased the business and facilities of Farm Service Co. of Jewell. On July 1, 2007, Central Counties Cooperative, Reinbeck and Heartland Co-op, West Des Moines merged. Central Counties Cooperative evolved from several mergers over the past three decades. In 1989, the Farmers Cooperative of Kellogg purchased the Continental Grain facility in Pickering. In 1990, Farmers Cooperative of Gilman, Newburg, and Laurel merged with the Farmers Cooperative of Kellogg and Pickering to become the original Central Counties Cooperative. In 1995, Famers Cooperative Elevator Company of Grundy Center and Holland merged with Farmers Cooperative Company of Reinbeck to become Farmers Cooperative. The following year, in 1996, Lincoln Cooperative Company of Lincoln purchased the privately owned Farmers Elevator of Traer. Lincoln Cooperative Company of Lincoln and Traer merged into Central Counties Cooperative in 1998. The final addition to Central Counties Cooperative occurred in 2005 with the purchase of the privately owned Washburn Elevator. Heartland Co-op increased sales revenue and employee base - our 41 locations now included Gilman, Grundy Center, Holland, Kellogg, Laurel, Lincoln, Newburg, Pickering, Reinbeck, Traer and Washburn. The following year on February 1, 2008, the Farmers 4-County Cooperative of Belle Plaine became part of Heartland Co-op family. Farmer's 4-County Cooperative history began in Belle Plaine as a fuel, feed, and fertilizer only facility in 1963. In 1979, a private grain elevator was purchased in Blairstown, which put the company in the grain business as well. Another private elevator in Hartwick was purchased in 1980. Ten years later, in 1990, four grain and fertilizer facilities were purchased from the Fronings Western Grain Company in Belle Plaine, Elberon, Chelsea, and Luzerne. In 2000, the final addition to Farmers 4-County Cooperative was the purchase of a private elevator in Marengo. 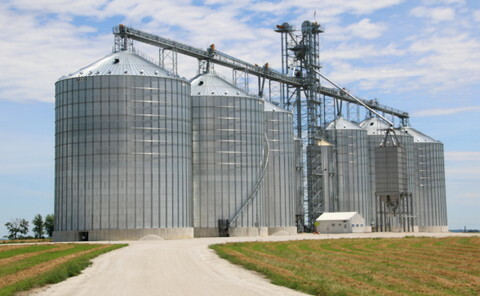 The merger of Farmers 4-County Cooperative has added nearly 5,289,000 bushels of permanent grain storage to Heartland Co-op with these seven locations. These seven additional locations included Belle Plaine, Blairstown, Chelsea, Elberon, Hartwick, Luzerne, and Marengo. In July of 2010 the acquisitions of four previously owned Roorda operations were acquired in Newton, Monroe, Prairie City West and Runnells by Heartland Co-op. This added another 4 M bushels of storage to the Heartland Co-op overall portfolio. On September 1, 2013, Heartland Co-op welcomed Farm Service Company (FSC) to its ever-expanding trade territory. With this merger, Heartland Co-op was able to operate out of 11 new locations, including: Logan, Missouri Valley, Neola, Council Bluffs, Treynor, Silver City, Henderson, Pacific Junction, Malvern, Randolph, and Sidney. On September 1, 2014, United Western Coop (UWC) merged with Heartland Co-op adding locations in Moorhead, Dunlap, River Sioux, Mondamin, Woodbine, Modale, and Missouri Valley. August 1, 2016, Consolidated Grain and Barge Co. (“CGB”), a wholly owned subsidiary of CGB Enterprises, Inc., entered into an agreement to lease its Wever, Iowa facility to Heartland Co-op. The agreement was finalized on July 8th, and Heartland Co-op began operating the facility on August 1st. CGB Enterprises, Inc., headquartered in Mandeville, LA, operates 97 grain facilities across the Midwest. 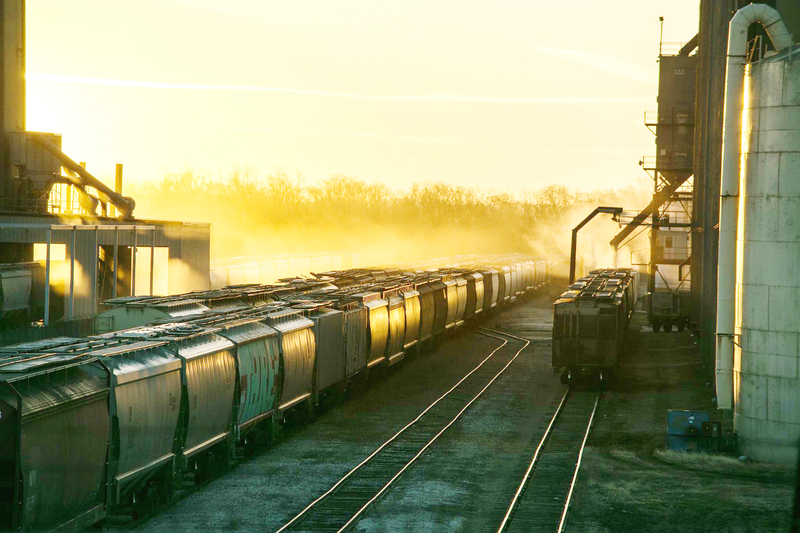 In addition to grain facilities, the company has dedicated operations in logistics and transportation, fertilizer, crop insurance, agri-finance, soybean processing, producer risk management, and other related businesses. For more information on CGB Enterprises, Inc, please visit www.cgb.com. On April 6, 2018, Heartland Co-op purchases Nebraska City and Howe in Nebraska from Helena Chemical/Gavilon Fertilizer to extend our agronomy opportunities. These are our first locations outside of Iowa. On September 12, 2018, Heartland Co-op welcomed Voorhies as the newest location for the east region. In summary, there have been many changes as we reflect upon the past. We expect this trend to continue, but at a much faster pace. 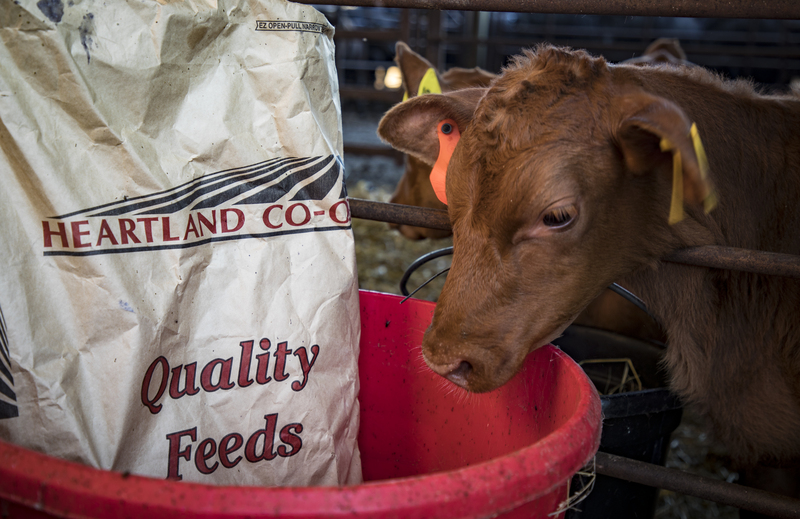 Heartland Co-op will do its best to meet and exceed their members' and customers' expectations.